“Exhibit A” Tin Sign | BUDK.com - Knives & Swords At The Lowest Prices! Why pay for an expensive security system when you have all the security you’ll ever need locked in your gun safe? Let would-be intruders know you’re packing heat and willing to use it with this blunt, amusing tin sign. At the top of the sign inside a conspicuous red field, bold stencil-style lettering reads, “Warning. 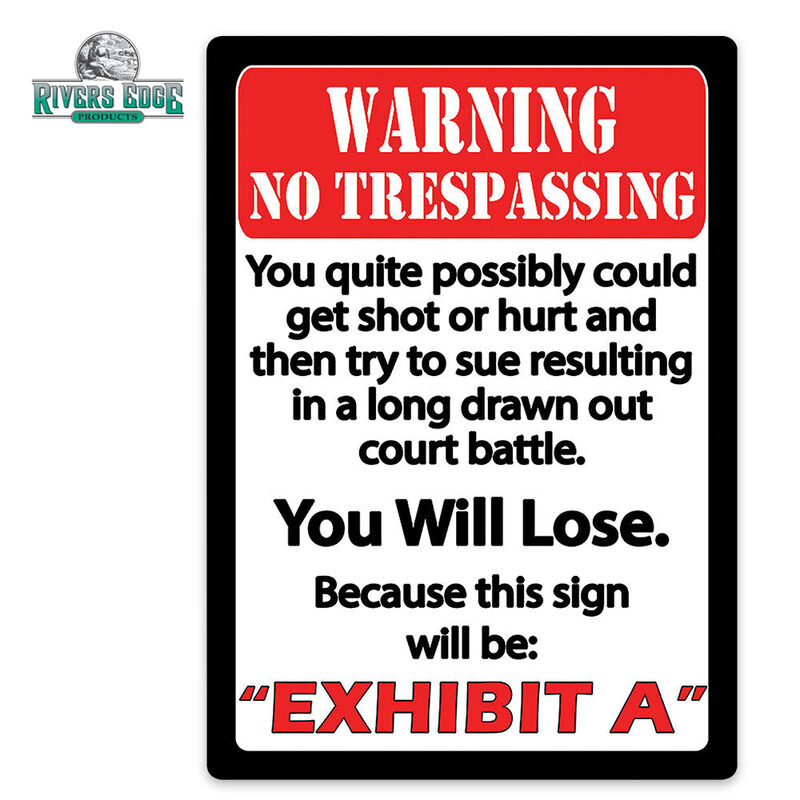 No Trespassing.” In a white field below in black letters is “You quite possibly could get shot or hurt and then try to sue, resulting in a long, drawn-out court battle. You Will Lose. Because this sign will be ‘Exhibit A.’” At 12” wide x 16 3/4” tall, this intimidating sign is easily noticed affixed to a post, fence, door or anywhere else. Smart criminals will see it and move along.